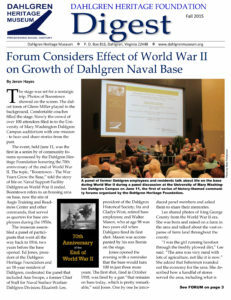 Young scientists, physicists, engineers and other fields are working with cutting edge technology at Dahlgren. Hear them talk about how they found their way and what inspires them. 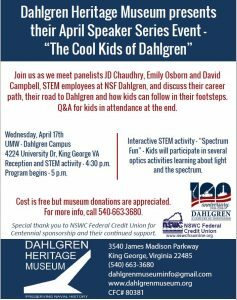 This event will include an interactive STEM event for kids and a Q&A opportunity for kids to ask about STEM careers.